It’s Tuesday afternoon at the Guilford Justice Center in downtown Miami, and a pressed young attorney returns from a trip to the judge’s bench to confer with his client. The attorney looks over at the remainder of defendants waiting in the courtroom for their arraignments, then looks back down at his doe-eyed client. To anyone familiar with the Miami-Dade Corrections system, the words “East Wing” are said with a reverence usually reserved for concentration camps and Cuban dictators. Technically, it is the misdemeanor lockup for the Miami-Dade County Pre-Trial Detention Center just north of Downtown. But to many who have spent time inside, it is the definition of a frozen-over Hell. The unsanitary conditions, unruly inmates, unhelpful officers and arctic temperatures make this particular lockup an especially unpleasant place to stay. East Wing is but one part of the Pre-Trial Detention Center, known to Miamians simply as DCJ (short for Dade County Jail). According to Florida Department of Corrections reports, Miami-Dade County has more average daily inmates than any other county in Florida. As such the county has not one but seven separate jail facilities. DCJ is the closest to the downtown courthouse, and therefore is where more people arrested on Miami Beach are brought for official booking. While it is not the most populous of Miami-Dade’s lockups (Metro West can hold over 2000 inmates at a time) it is the most notorious having been featured in recent documentaries on both the Discovery Channel and MSNBC. But if Miami has so many jails, what is it exactly that makes DCJ so particularly awful? Jimmy Vaughn*, an inmate who has spend extended time at DCJ on multiple occasions, agrees. While East Wing has 25 rows of bunks for inmates to use, Vaughn says that, especially on weekends, getting to use one of them is a pipe dream. While a 2006 Corrections report lists the inmate capacity of DCJ at 1,400, the average daily inmate population is well over 1,700, according to the same department. That means on an average day the facility is housing almost 25 percent more inmates than it should. 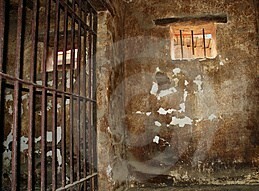 This not only means the jail; gets a little cramped, it doesn’t stay particularly clean either. Such is the declaration of inmate Edward Jones in the recent MSNBC documentary “Lockup: Miami-Dade.” His point is driven home in a following shot of another inmate whose arm is covered in some sort of mysterious dark brown rash. He claims when he came to DCJ, he was blemish free. Now, he says, he looks “like a leper.” And jail doctors won’t even tell him what’s wrong. Vaughn, the multiple visitor to the jail, says that the lack of toilet facilities and perpetual overcrowding make it the most unsanitary place he has ever seen. Old pieces of bologna also hang from the walls for weeks after they are discarded, as apparently none of the inmates ever get hungry enough to take advantage of this convenient food reserve. The problem is sometimes compounded by creative inmates who decide to place said slices of bologna (the DCJ diet staple, according to Vaughn) in the air ducts so the smell of rotten processed meat can be enjoyed by the entire cell. The only reason the place is not as bad as it could be, says Rick Bryant*, another former inmate, is because the place is kept so cold. "Hell In Paradise - Miami-Dade County Jail"
Dude, I can tell you stories. Is that story completely true, Carlos? 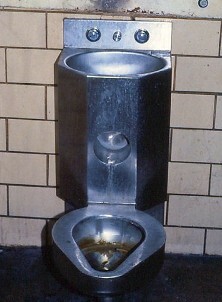 I find it hard to believe that such conditions would exist even in a Mexican jail let alone an American one. Wow. Of course it’s true. But you’re right, the conditions are much worse in a foreign jail. They probably don’t even have air-conditioner. You guys should point out these articles to the visitors who ask where to buy cocaine. Carlos, it seems like no tourists were in jail for anything..
You have the right to take photos, but just play innocent nextime and say something like, “Oh, I’m sorry..it’s for a college essay”. I’m glad you survived in jail..lucky you had a cool judge. Seriously bro, you need to stop promising things and never delivering. You’re worse than my first wife. jesstihkalz, part two should be online this weekend. It’s not Matt’s fault. He met his deadline. It’s the publisher who is dragging their feet. I’ll update this thread when part two is up. I dont know how I should put this in a respectful way, the dade County Jail is a very naisty place some of the officers there come to work and talk to you as you are a peace of s**t, you dont get a nothing in there at all the place is really dirty with large rats running around the place all in the kitchen area and all I plan to do something about this I dont know why the jail is not closed down.